As we’ve been saying all week, 2014 was truly a great year for movies. The entire calendar was filled up with both memorable and surprising features, from indies to blockbusters, and these titles were made up of some incredible cinematic moments that we will not be soon forgetting. This holds especially true where action films are concerned, as over the last 12 months we have gotten to see some badass sequences that have absolutely blown our minds. 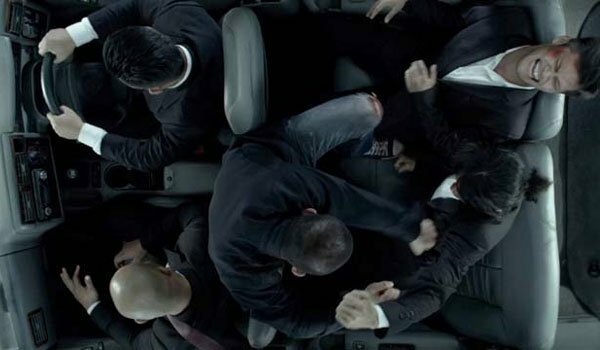 There were certainly many great options to choose from, and it was a challenge whittling this list down, but we have thought long and hard to determine the 10 most badass action sequences found in movies in 2014. What did we pick? You’ll have to read on to find out! SPOILER WARNING! The following article does contain some major spoilers for a few of the films on this list. Tread lightly! One of the inherent joys of the X-Men franchise is that it opens the doors to so many different kinds of super powers to portray on the big screen. Since the beginning of the series, we’ve seen everything from advanced healing and telepathy to fire manipulation and morphing. With X-Men: Days of Future Past, however, one new ability that was explored by director Bryan Singer was the concept of super speed – and the results were glorious. Shot using super high speed cameras and set to the tune of "Time In A Bottle" by Jim Croce, the Quicksilver sequence in the 2014 blockbuster is handedly one of the best we’ve seen in the X-Men franchise, and just extremely fun to watch. 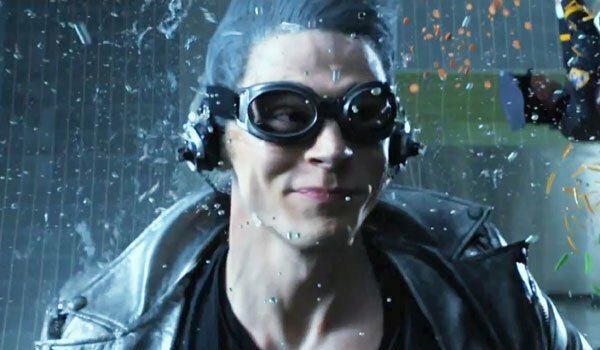 Evan Peters’ performance as the silver-haired mutant wound up being the stand-out performance of Days of Future Past, and a great deal of that can be attributed to his gleeful, albeit non-lethal takedown of all the Pentagon guards doing their best to keep Magneto locked up. It’s a rather magical scene. With The Avengers, director Joss Whedon set the bar pretty high where final action sequences in Marvel Studios movies are concerned – but that was a challenge that James Gunn was more than happy to take on in the making of Guardians of the Galaxy. With a story set way out in the cosmos, far beyond anything we know here on Earth, the movie opened a door to create something unlike anything we’ve seen so far in the Marvel Cinematic Universe, and Gunn walked through that door gleefully, providing audiences not only a stunning finale, but also one of the most badass action scenes of the year. Looking at the sequence in its entirety, it’s truly difficult to find anything not to love about it. Each character gets their own little moment to shine, be it Yondu working some arrow magic down on Xandar’s surface, Groot raging against a crew of Sakaaran soldiers, or Peter Quill experiencing pure glee as someone finally calls him out as "Star-Lord." 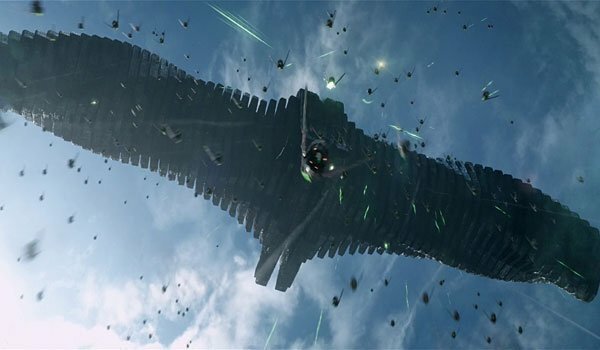 The Battle of Xandar encapsulates everything that we really love about Guardians of the Galaxy, packed with amazing laughs, thrills and heart, and is without question one of the best and badass of the year. 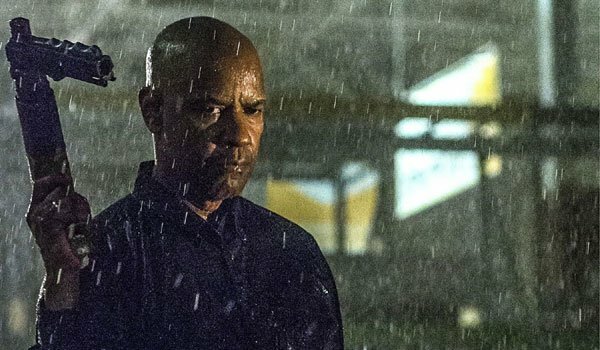 Antoine Fuqua’s The Equalizer was a lot better than people gave it credit for. Maybe the fact that it was based on a TV show scared people off? Or maybe audiences have no interest in Denzel Washington as an aging action hero, after the likes of Liam Neeson and Nic Cage have watered down the genre. But speaking of water, it contributes to the finale of The Equalizer, and helps the movie make our list of badass action sequences. 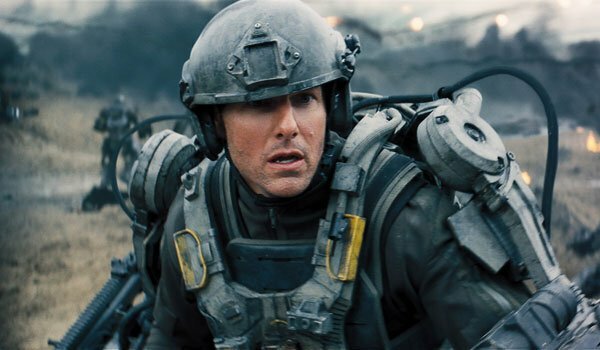 In the making of the Groundhog Day-meets-sci-fi action movie Edge of Tomorrow, director Doug Liman was presented with an interesting and special roadblock: how do you extract thrills out of constant repetition. He proved that the key to success was the idea of starting with an extremely exciting base line – provided by a terrifying extraterrestrial invasion – while also incorporating subtle changes that make each witnessed repeat special and significant. It’s a strategy that works throughout the length of the film, but is particularly memorable and perfectly implemented in stunning beach landing sequences in the first act. Not only is it somewhat jarring to watch the normally cool-as-a-cucumber Tom Cruise totally freaking out as he drops into a war zone, Edge of Tomorrow’s beachhead scene is rather perfect thanks to an excellent handling of tone. Liman smartly shoots the sequence like a war movie, making the audience feel threatened by every gunshot and terrified of what may come out of the ground at any minute – but he also doesn’t let the fact that our hero can reset time affect the stakes. Instead, there’s a level of fun and a different kind of excitement lent to the scene as Cruise’s Major William Cage works to save Emily Blunt’s Rita Vrataski. While it was Guardians of the Galaxy that delivered Marvel fans some really fun, lighter action sequences this year, it was Joe and Anthony Russo’s Captain America: The Winter Soldier that provided the same audience with a proper quotient of darkly intense, edge-of-your-seat moments. 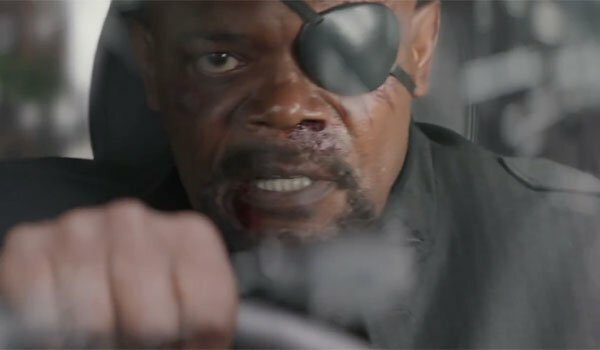 The film is loaded with them from start to finish, from Cap’s infiltration of the Lemurian Star to the helicarrier-centric finale – but it’s the car chase with Samuel L. Jackson’s Nick Fury and some HYDRA baddies that stands out as the movie’s most badass scene. Keeping the audience right in the center of the action at all times, the Russo brothers created a brilliant kinetic feel in this particular Captain America 2 sequence, but what really makes it stand out as special is just its surprising creativity and sci-fi twists. Nick Fury’s SUV is no ordinary car, and throughout the action scene it’s a blast to watch the S.H.I.E.L.D. director use all of its tools to his advantage, including the insanely tough metal frame and glass, the Gatling gun in the center console, and the supremely cool heads-up display/voice command features. It all comes together for a few minutes of seriously heart-pounding awesomeness, and the cherry on top is the epic introduction of the Winter Soldier at the very end. John Wick is a 90-minute action sequence. 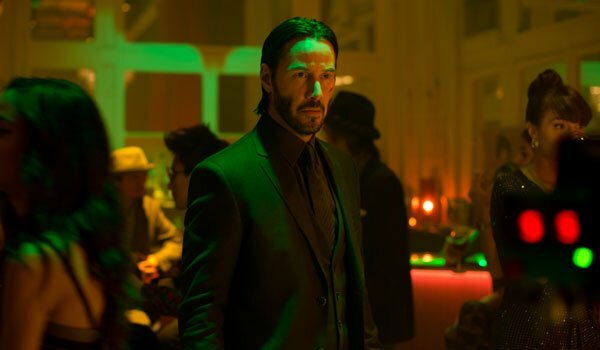 From the moment Keanu Reeves’ character swears revenge on the men who kill his dog (and steal his car), Chad Stahelski and David Leitch’s film becomes one long, protracted killing spree – a ballet of action set pieces stitched together by the blood and guts of Wick’s vanquished foes. Part of the secret to success featured in Matt Reeves’ Dawn of the Planet of the Apes is that its elements of drama and action feed into one another flawlessly, leaving each to operate for the betterment of the other. Mixed with a truly stunning visual style that benefits from what is still truly stunning performance capture technology, and what you have is one of the best, smartest blockbusters of the year – and home to one of the most badass action sequences. In any outside context, the idea of two chimpanzees fighting doesn’t carry a ton of dramatic weight, but it’s that fact that only makes the climactic battle between Andy Serkis’ Caesar and Toby Kebbell’s Koba in Dawn of the Planet of the Planet of the Apes that much more thrilling and effective. 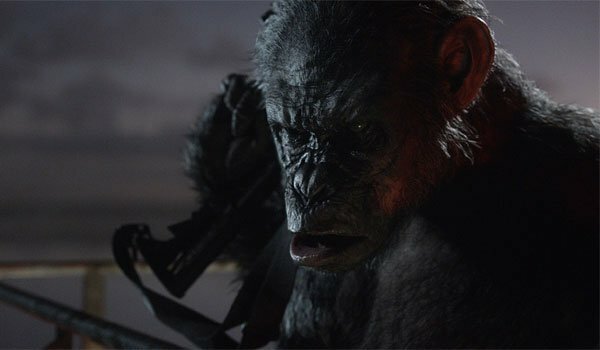 In addition to featuring wonderful choreography orchestrated around the abilities of the two primates, and taking place in the tremendously dynamic environment that is the top of a crumbling tower, there are wonderful stakes at the heart of the conflict, as both Caesar and Koba each represent the diametrically opposed paths that society can go down. We also won’t soon be forgetting its spine-tingling conclusion. In modern Hollywood, we’ve come to directly associate the idea of action sequences with ground level one-on-one combat, car chases, or clashing armed forces, but this past summer Gareth Edwards brought something back with Godzilla: epic scale monster mayhem. 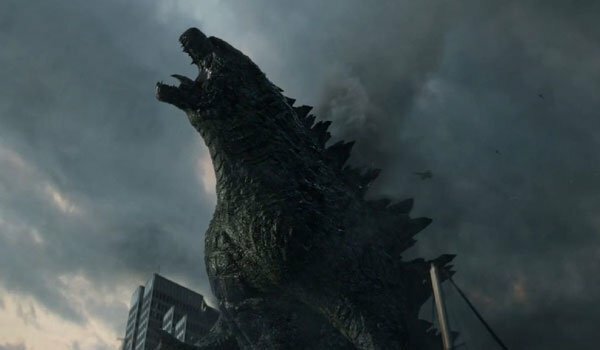 In the movie, the titular King of the Monsters returns to the big screen and takes on two types of a brand new beastie – and the ultimate result is a devastating and awesome battle. While I can’t say that I loved the first confrontation between Godzilla and his foe in the movie, the final sequence where the titular creature and both the male and female Mutos fight in the streets and skyline of San Francisco definitely does its part to make up for it. Not only does Edwards compellingly capture the magnitude of the action and the terror that exists on the ground, there is also great physicality utilized between the more brutish, strong Godzilla and the more agile/flight-capable Mutos. We also can’t have a conversation about this scene without acknowledging the perfect exclamation point that is the use of the classic blue atomic breath, used to put one of the Mutos down for good. 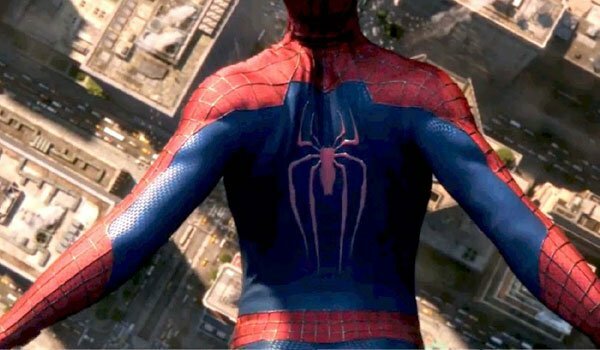 Sadly, Marc Webb’s The Amazing Spider-Man 2 ranks as one of the bigger disappointments of 2014 – and a big part of that is because there are elements in the movie that work incredibly well, but aren’t able to overcome the negative aspects. Excellent examples of this are the performance by Andrew Garfield – who continues to prove himself as an excellent choice for the lead role – and the movie’s first Spidey-centric action sequence, featuring the web-slinger racing through traffic to try and stop Paul Giamatti’s Aleksei Sytsevich. What this sequence captures better than just about everything else in The Amazing Spider-Man 2 is that it captures the perfect tonal pitch of Marvel Comics’ wall-crawler. The sun is shining, the colors are bright, the baddies are a touch over-the-top, and Spidey is constantly throwing out quips and jokes just to mess with the criminals’ heads. Had the entire movie been able to maintain the energy level, style and quality of this scene throughout the entire film, the finished product could have been really special and one of the best Spider-Man features we’ve seen it. It’s a shame it didn’t. How on Earth does one follow up the relentless action fury that was The Raid? If you are Gareth Evans, you expand the landscape of your physical interactions, shifting the movement outside of a cramped apartment building and taking over, basically, all of Jakarta. It’s a bold move that certainly ups the ante for The Raid 2, and gives us multiple options from which to choose when compiling this badass list.